The government of British Columbia recently announced that it will be hosting public consultations regarding the Sexual Violence and Misconduct Policy Act, which was enacted by all B.C. post-secondary institutions in May 2017. 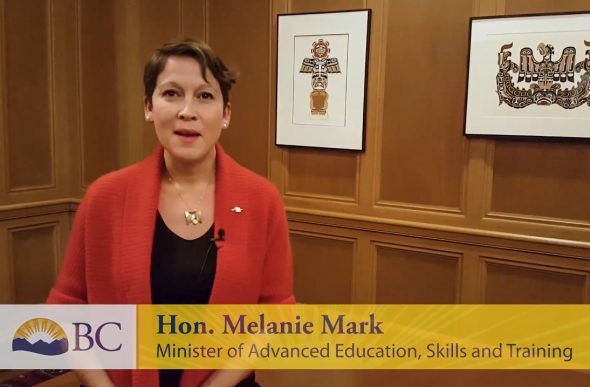 This move, spearheaded by Advanced Education, Skills, and Training Minister Melanie Mark, builds upon the existing foundation of the Act and aims to raise awareness of the new policies. The Act states that all institutions must have a list of procedures on how to prevent and respond to allegations of sexual assault and misconduct reported by their community members. Jane Fee, KPU Vice Provost, was the Chair of the President’s Advisory Group while it oversaw the drafting of the university’s sexual violence and misconduct policy. She praises the implementation of the Sexual Violence and Misconduct Policy Act as well as Mark’s initiative. “It’s a way of beginning a bit of a provincial dialogue amongst students about concerns that they might have beyond their own institution,” says Fee. KPU’s sexual violence and misconduct policy went through six months of redrafting and consultations, during which the public, students, the faculty association, and the Kwantlen Student Association were consulted. According to Fee, the drafting of the policy was difficult because it had to align with the provincial legislation while also accommodating KPU’s existing policies and procedures. Throughout the drafting process,, and over the past couple of years, the school has provided “lots of avenues for students to disclose [an incident of assault or misconduct] without having to go through a formal reporting process,” says Fee. In comparison to other B.C. universities, such as UBC—which has been rocked by several high-profile incidents over the past few years—KPU hasn’t reported having a severe problem with sexual violence and misconduct. Fee partially attributes this to the institution’s lack of student residences, and argues that the issue still requires the communities utmost concern and attention. Fee adds that the university is in the process of hiring an employee responsible for creating education and awareness programs about sexual violence and safety in the KPU community. Caitlin McCutchen, Women’s Representative and VP External Life for the Kwantlen Student Association, commends Mark’s public consultations and says that she has been asked by the Ministry to help promote the new Sexual Violence and Misconduct Policy Act. With the implementation of the new provincial legislation, she says that students will know how to properly and safely report a case of sexual assault or misconduct. Like Fee, McCutchen was heavily involved in consultations regarding KPU’s sexual violence and misconduct policy. McCutchen says the KSA will be hosting a “consent campaign” sometime in 2018. This initiative was included in the policy and will be held by the KSA once per year. McCutchen hopes that she will be able to host the first campaign before her term as the women’s representative ends in March 2018.